With the first third of summer nearly in the books, lift projects across New England are in various stages. While some lifts appear to be on track for a 2017 opening, other projects could slip into a future year. After going through the 2016-17 season with no lift on Spruce Peak, Sunday River is wasting no time in getting its new Spruce Peak Triple installed. Doppelmayr is currently working on pouring tower footings for the brand new lift. Pats Peak has also made good progress on their new summit lift, after having started concrete work in 2016. The CTEC chairlift will feature Pats Peak's first loading carpet. 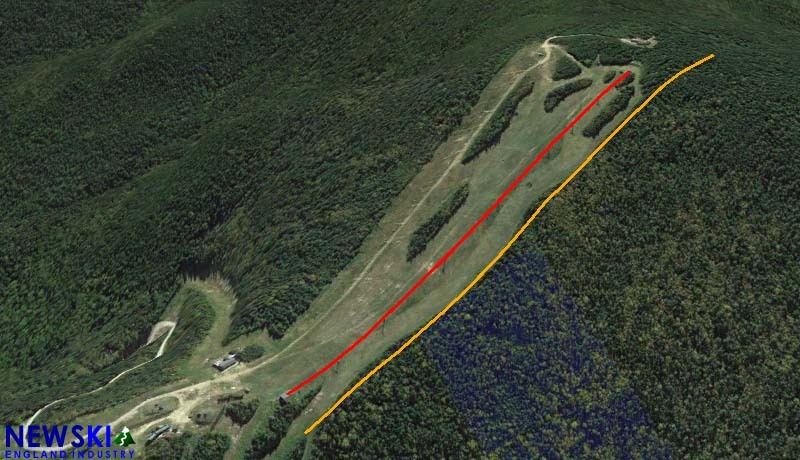 Waterville Valley has flagged its proposed High Country T-Bar lift line, as it goes through the United States Forest Service permitting process. 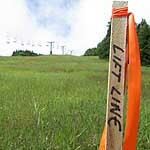 The new lift is currently slated to be 250 feet longer than the double chairlift and could increase the ski area's vertical drop by nearly 20 feet. 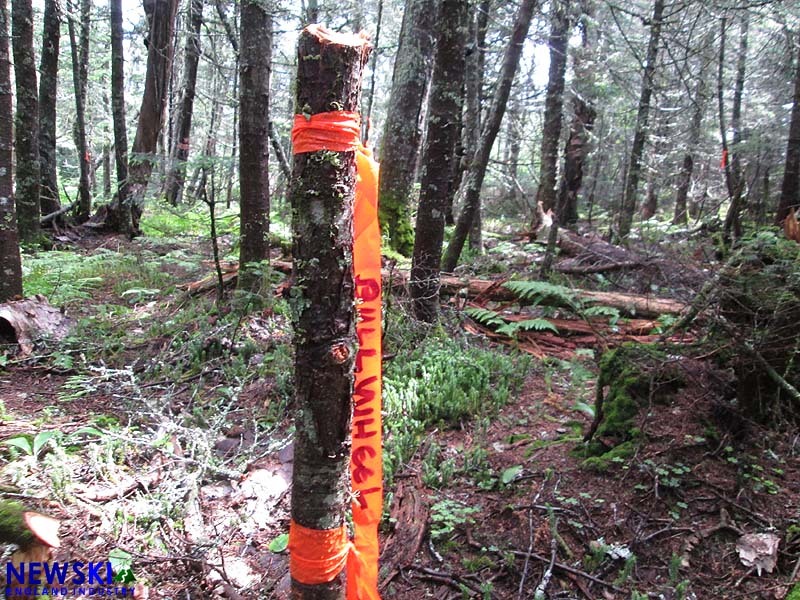 The proposed line starts atop the Tangent trail and terminates 25 feet from the Sosman hiking trail. 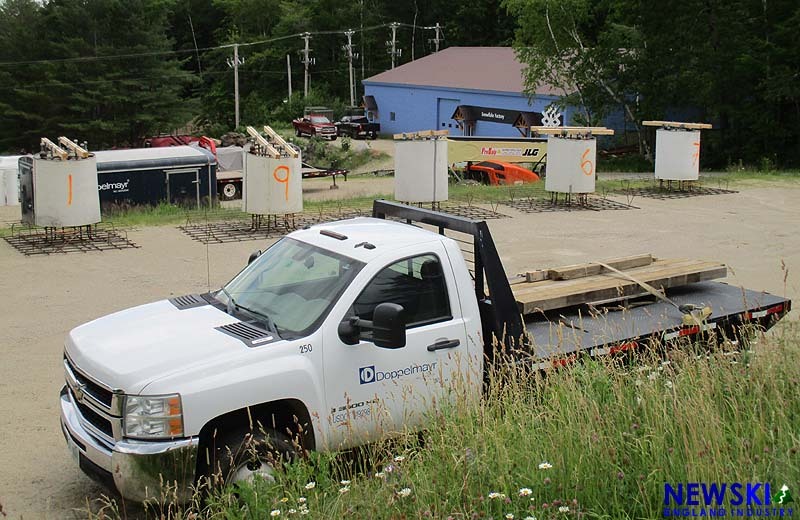 Meanwhile, normal NDT testing appears to be taking place on the High Country double, perhaps in case the T-Bar is not approved in time for 2017 construction. 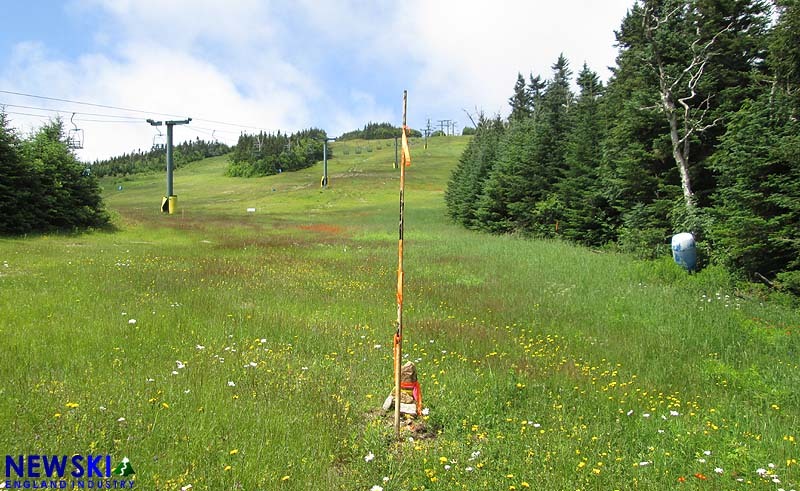 Survey work has also taken place at Saddleback, but it is not known if the new Doppelmayr quad and T-Bar will be installed in 2017. 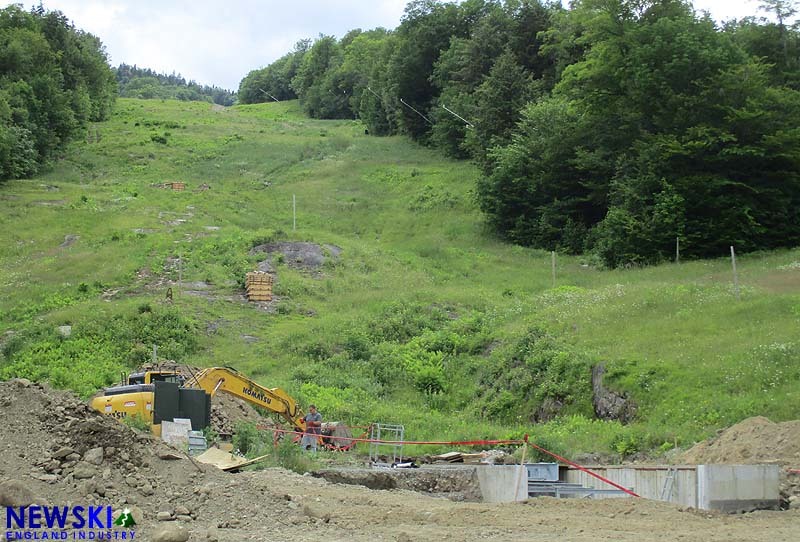 Whaleback is now excavating the lift line for its west side T-Bar. The refurbished Hall will service short lower mountain trails. 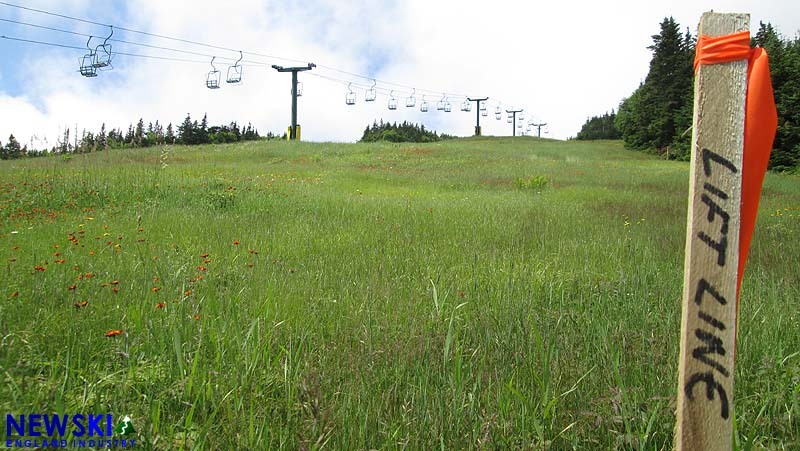 Magic Mountain continues to move forward with its Green Chair project. 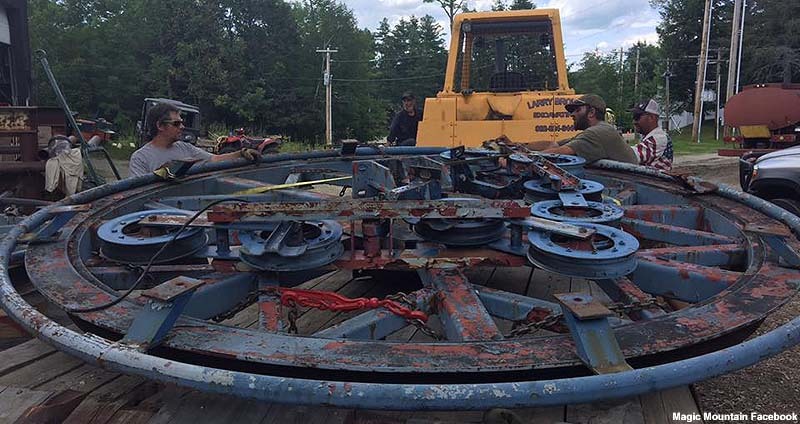 While unexpected issues have been found with the partially installed Borvig double, new ownership continues to invest in improvements with the hope of having the lower mountain lift open for the 2017-18 season.